Last week I was ignored. It happened while I was eating an organic salad on the patio outside my local Whole Foods situated in the second largest county in the nation’s most ferocious battleground state. Why was I ignored by the white middle-aged woman carrying a clipboard wearing a “Register-to-Vote Here” T-shirt who was standing only six feet away? As I was munching my arugula, several times we made eye contact, but she never bothered to ask. After about 15 minutes, lunch was finished, and the silent political standoff ended. Walking to my car, I assumed that she thought I looked “Republican” and was already registered. Both assumptions would have been correct. However, as an American, I was troubled by her overt partisanship. But honestly, by her looks and hair, I assumed she was a Democrat and must still be lamenting Hillary’s 2016 loss and anticipating Elizabeth Warren in 2020. This incident has far greater implications than me being ignored after making Whole Food owner Jeff Bezos 12 bucks richer. The point is voter registration is generally perceived as a Democratic Party activity based on the assumption that everyone young and non-white represents a future Democratic vote. Unfortunately for Republicans, age 18 – 29 voting patterns and party identification data turn that assumption into a reality. And let’s face it, voter registration drives make Republicans cringe. The words are absent because the RNC knows it is facing an uphill battle of cultural and demographic change. The 2016 presidential data paints the picture. According to exit polls, voters aged 18 – 29 voted for Hillary Clinton by a margin of 55 to 36 percent over Trump. Worse for the GOP, non-white voters supported Clinton over Trump by a lopsided 74 to 21 percent. In the 2012 presidential election between President Barack Obama and Mitt Romney, exit polls found that Obama won 18 – 29 year-olds by 60 to 37 percent. Obama earned five percentage points more youth vote than Clinton won in 2016, while the GOP youth vote stayed basically the same from 2012 to 2016 — decreasing by only one point to 36 percent. The African American vote in 2012 went 93 percent for Obama while he captured 71 percent of the Hispanic vote compared to 27 percent for Romney. That is a headline you will likely never see from the RNC because Republican “ducks” are not reproducing. Although “non-partisan” in theory, Rock the Vote is not aiming to register hordes of young Republicans. Therefore, it’s no surprise that Rock the Vote is the muscle behind "Vote for Our Lives." This new group is an off-shoot of the activist, anti-NRA, Marjory Stoneman Douglas High School student group that organized the successful, “March for Our Lives” in Washington D.C. with sister marches around the nation and that is now touring the USA this summer registering young voters. 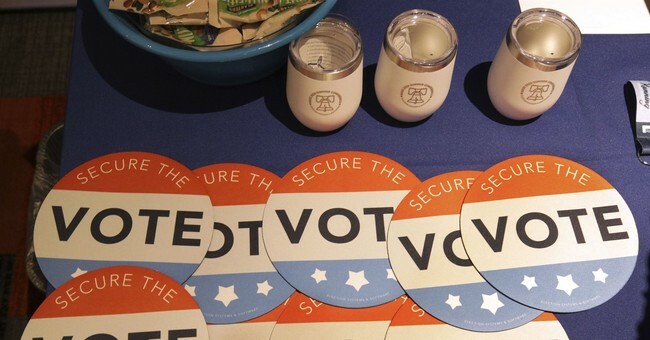 It looks as if voter registration is the new cool, hip activity, but for Democrats only. Conversely, Republican leaders are always comforted knowing that older, white voters will turn out for the midterms in higher rates and save the party, while younger and non-white voter turnout has traditionally amounted to empty hype. Will 2018 be the year that this tradition is turned upside down? Will anti-Trump fervor set new turnout records and squash the GOP with all these new, young, non-white “motivated” voters? Watch exit polling on November 6 for the answers.